Aaron Rodgers is one of the most talented quarterbacks to ever play football. There is no discussion about that. But there IS some discussion about his character – and his relationship with Mike McCarthy. One day before Tyler Dunne dropped the bomb (a report for B/R), McCarthy had an interview with Rob Demovksy from ESPN, in which he thanked the fans of the Packers and the whole community – again, but also criticized the way his release was handled by team president/CEO Mark Murphy. One day later, after reading the 8000 words report, you asked yourself why on earth he wasn’t released many years before and why Aaron Rodgers was still playing for the Packers. The report mentioned McCarthy getting massages instead of being at team meetings, being stubborn and against any change to his playbook and crediting himself with good results and not realizing it must have been the great pool of talent on offense that led to results like the Super Bowl win in 2011. On the other hand, Aaron Rodgers is described as a diva, not able to stand criticism and getting better from it, instead absorbing it and being passive-aggressive to teammates and coaches. As a result of McCarthy’s described stubborness, he is said to have changed up to 1/3 of McCarthy’s plays in the huddle. Also, he’s described as someone who devalues others because he thinks they have a lower football IQ, although he (Rodgers) “is not as clever as he thinks he is”. First, the story goes back to 2005, where McCarthy was a part of the 49ers (who drafted Alex Smith over Aaron Rodgers) and it states this moment as a reason the relationship between these two was doomed from the beginning. That is something very hard to believe. First, McCarthy was not the man in charge to draft Rodgers, although he made some comments that Smith might be better than Rodgers – after they had drafted Smith. And Aaron Rodgers is certainly intelligent enough to get that. Second, the fact that McCarthy wasn’t responsible for the successful years but only the sheer talent on offense was, is just impossible. There is no way a team can win a Super Bowl with a bad coach. Also, in many interviews players have spoken about the important role McCarthy had during the season and in the postseason. His motivational speeches, his actions during the season and the belief in his team (just think about the beginning of the New England game in that season, where McCarthy started the game with an onside kick) influenced the mindset of everyone. Third, the only named sources that criticize Rodgers and McCarthy, are Jermichael Finley and Greg Jennings. Two players that take every possibility they get to critizice every aspect of the Packers. 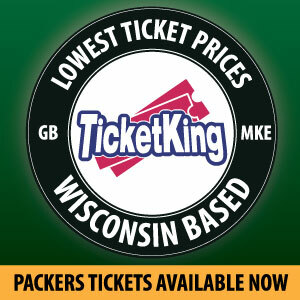 I don’t know why they don’t like the Packers, but they both certainly don’t. And if you think James Jones is not trustworthy defending Rodgers because he’s a good friend, Finley and Jennings aren’t as well. 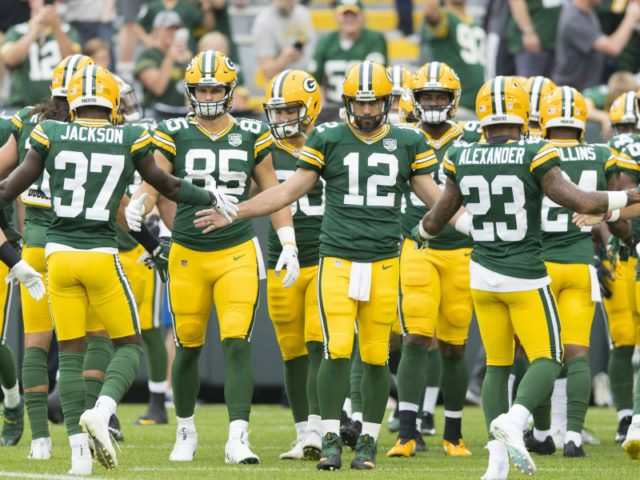 Fourth, there was something else in the story that’s bothering me – and Ryan Grant as well: Aaron Rodgers not being a vocal leader in the locker room. Grant says, you don’t need Aaron Rodgers as a leader, he speaks by his greatness on the field. I think the same: Rodgers is a leader on the field. He tells the players on offense what to do. The Packers’ offense lives by his greatness. But he doesn’t need to be the one who raises his voice in the locker room. If the other players respect him and trust him on the field, it’s enough. If there are not enough leaders in the locker room to speak up and tell if something’s going wrong, it’s neither Aaron Rodgers’ fault, nor is it McCarthy’s fault. It’s the fault of a general manager that lets veterans walk and only fills up roster spots with drafted or undrafted rookies. These were the points that bothered me the most about the story. There is a tendency in the story that brings every aspect into one perfect line. And in life nothing fits perfectly into one line. But in this story every twist and turn, even the most shocking details like McCarthy getting a massage instead of attending meetings or Mark Murphy pausing after informing Rodgers about the new head coach and continuing with “don’t be the problem” – it just fits perfectly the direction of the story. I don’t want to say these little nuggets are just made up – and I certainly think there were huge problems in the relationship, at least in the end, but I cannot believe the relationship between Rodgers and McCarthy was as bad as the story describes it for 14 years. Max Sachs is an international Packers fan from Germany. As a part of the Packers Germany, he tries to convince everyone around him to cheer for the greatest franchise on earth - or to start with, for American football in general. You can find him on Twitter @KaesekopfDE (the german translation for cheesehead). This entry was posted in Max Sachs, Packers News and tagged aaron rodger, mike mccarthy. Bookmark the permalink.